Growing up, Angela Dominguez remembers now, she loved reading. She read mostly classics like James and the Giant Peach, but her favorite books recounted African folktales. Dominguez liked these books because she would identify with some of the characters. Dominguez, now a children’s book author and illustrator, said she would visualize the characters and now realizes that many of these books influenced her life and he work. Such diversity, however, is often lacking in the book world, so Dominguez, along with some publishers and librarians, are trying to bring a more multicultural approach to publishing. Dominguez said the reason many of her book characters are Hispanic is because she wants Hispanic kids to feel identify with them. “They [children] get that, this is a little kid that is from a place like mine,” Dominguez said. The Latino Book and Family Festivals also aim to promote diversity in publishing. The festivals were founded in 1997 by the organization Latino Literacy Now. The premise of the festivals is to bring recognition to books and to provide a setting where individuals and families can grow in terms of education and opportunities. The organization will be hosting its 63rd festival on Sept. 10 at La Plaza de Cultura y Artes in Los Angeles. The event will have over 50 Latino authors from and outside the U.S. and also about 15 workshops. There are Latino authors and children’s books with Latino characters, Whisler said, but not always available to a wide audience. That’s changing, he said. “Many libraries for instance in schools are making efforts to diversify the books within what they’re offering to students, but then there are others that are not,” he said. 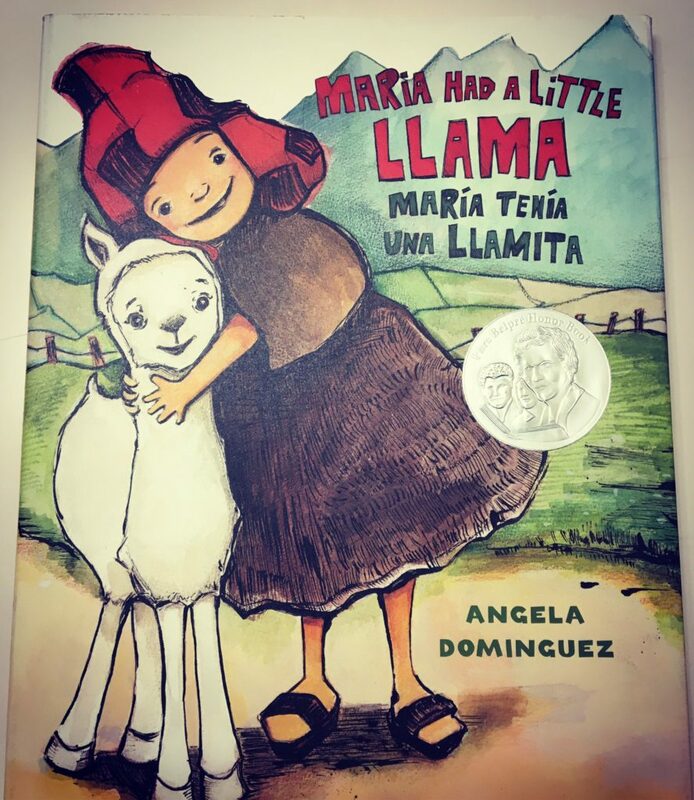 Kathleen T. Horning, director at the Cooperative Children’s Books Center, said there is always an interest for books that portray the Latino cultural experience, but there are institutional barriers between the consumer and books. “There are diverse books, but they are not always easy for people to track down,” Horning said. In 2016, the CCBC received 34,000 children books where 166 had significant Latino content and from that number just 58 were written by Latino authors and illustrators. About 10 percent of the total number of children books have minority characters and 80 percent deal with white anglo characters, Horning said. “It certainly isn’t a reflection we see in the overall population in the United States,” Horning said. An issue Latino writers are facing now is that they do not understand the business, said Corina Martinez Chudhry, CEO and the owner of TheLatinoAuthor.com – a website that promotes Latino authors. “A lot of writers may be really good writers, but you have to have a good business sense to market,” Martinez Chudhry said. Minority authors are at a disadvantage from the very beginning because the big publishing houses tend to publish white authors, Martinez Chudhry said. Even though publishers do not promote Latino books vigorously, there is a real movement driven by librarians to find books with Latino titles; for example, the American Library Association is recognizing more this community of writers, Dominguez said. There is still lack of diversity in children’s books, but this is a vibrant community that is growing, she said. “I really love that there is a real push for books that are bilingual or books that are promoting the culture,” Dominguez said. Having Latino characters in books would reflect more the world we live in, she said. In school presentations, Dominguez has noticed how Hispanic children get excited to see books with Latino characters and also to see that a person that looks like them is the author. When she was 14, Zalome Briceño moved from Peru to North Palm Beach, Fla. Straddling two cultures and speaking two languages pushed her to become a bilingual multimedia journalist. 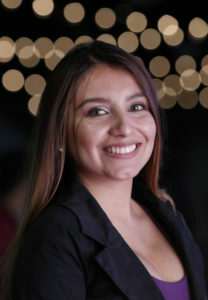 Briceño began working on her journalism career in high school. She attended a magnet school which focused on television, radio and film production. After graduating, Briceño enrolled at the University of Florida, where she is pursuing a degree in communications and political science. Though she enjoys covering hard news stories, Briceño has an affinity for investigative reporting. “I always say to myself never close doors,” Briceño said. She hopes to work in both Spanish and English media.